Community and company representatives engage in discussion during a roundtable meeting. Albania, May 2016 (CAO). 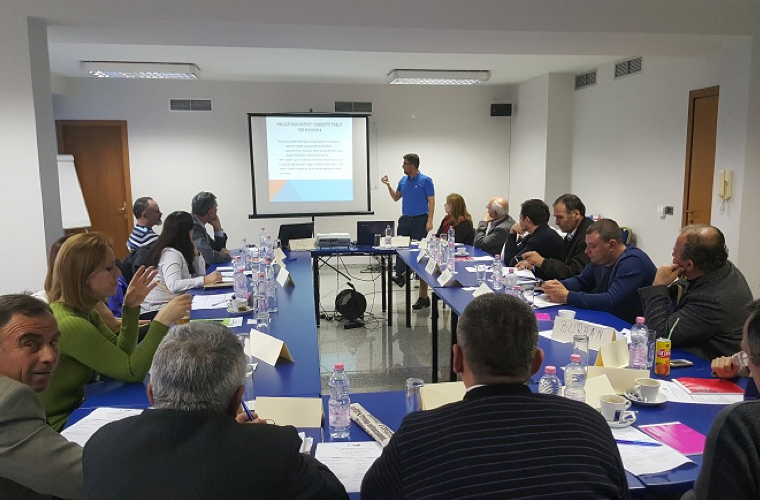 In Albania, CAO is monitoring implementation of agreements reached between an oil company and local community following a comprehensive mediation process in which a wide range of issues were addressed. A complaint was filed to CAO in 2013 by community members residing near oil fields operated by Bankers Petroleum, an IFC client. They claimed the project was impacting their health and safety, contaminating irrigation networks, and causing seismic tremors. The parties have been in dialogue since 2014 and formed different working groups to tackle concerns related to earthquakes, the environment, and social investment. In March 2018, the Ministry of Energy confirmed that the Albanian government is committed to keeping the parties informed about investigations into the seismic tremors. The parties will continue to address environmental and social concerns through a Community-Company Dialogue Roundtable after CAO exits, thus sustaining outcomes from the process. 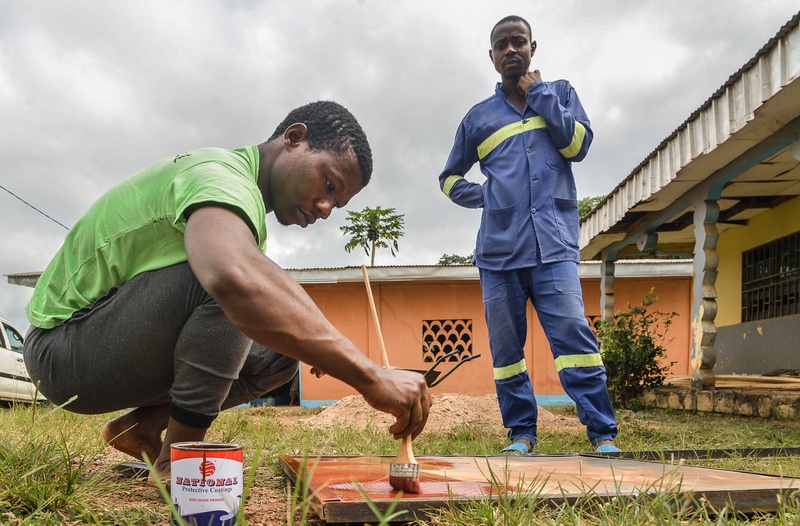 Members of the Ebaka community work to renovate the village shop managed by the community cooperative, one of the outcomes of the Chad-Cameroon dialogue process, Cameroon, July 2018 (Rodrigue Mbock/CAO). In Cameroon, CAO is monitoring settlements to address the impacts of the Chad-Cameroon Pipeline Project, a 1070 km pipeline that transports crude oil from southwestern Chad to the Cameroon coast. The project was supported by IFC and the World Bank. CAO has been working with the project operators and local communities in Chad and Cameroon since 2011 to address outstanding concerns. CAO is monitoring agreements related to two communities, including an agreement reached in July 2017 to address health hazards related to the project’s water disposal site. The parties jointly designed an independent study which concluded that asbestos handling at the company’s waste management facility did not cause harmful impacts on the community. As part of the settlement, the company committed to support income-generation projects through a newly created community cooperative and social projects, including access to drinking water, and facilities for a nursery school and community hall. The other agreement being monitored relates to indigenous populations. This year, they gained legal title to agricultural land as a result of the CAO-convened process. 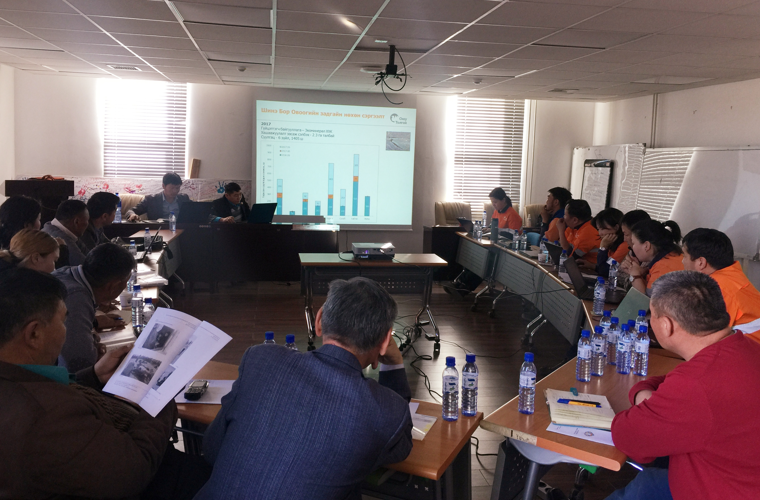 CAO meets with herder, mining company, and local government representatives to discuss the results of a second joint fact finding process conducted as part of the monitoring of agreements related to the Oyu Tolgoi case, Mongolia, November 2017 (CAO). In Mongolia, CAO is monitoring agreements reached with nomadic herders regarding impacts of the Oyu Tolgoi mine. The mine, which is managed by Rio Tinto and supported by IFC and MIGA, is one of the largest copper and gold mines in the world. CAO mediated agreements address herder concerns related to water, resettlement, economic displacement, health and cultural heritage resulting from development of the mine. In June 2018, CAO extended its monitoring phase at the request of the parties and expects the case to reach conclusion during the next year.